Harris thinks there's something about the new kid at school, Zeke, and that's because Zeke is actually the new kid on the planet! Will Zeke be able to make friends on this new planet, or will Harris discover his secret? Join Zeke and Harris on their adventures in this four-book collection that is out of this world! This four-book collection is sure to be a hit with any young reader. Filled with humor, adventure, and friendship, The Alien Next Door follows Zeke, an alien who is new to Earth, and his friendship with Harris, a very observant Earthling. Combining the first four books in the series, The New Kid, Aliens for Dinner? !, Alien Scout, and Trick or Cheat?, kids will love being able read book after book without waiting. 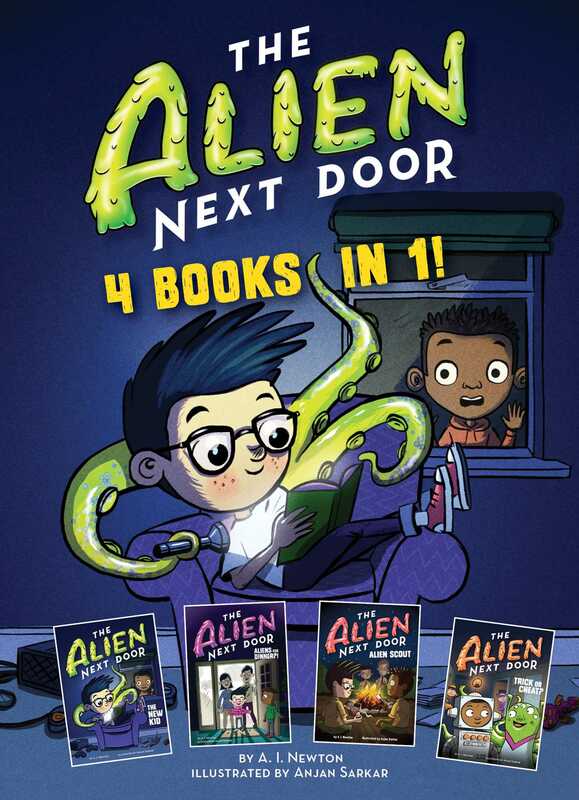 Book Cover Image (jpg): The Alien Next Door: 4 books in 1!